Hidden River Events is a hidden gem of pastures and woodlands with a gorgeous river running through it. It's completely untouched and wild, just like my amazing couple Victoria and Jared. They are playful and complete without boundaries. This was the PERFECT location for their ceremony. 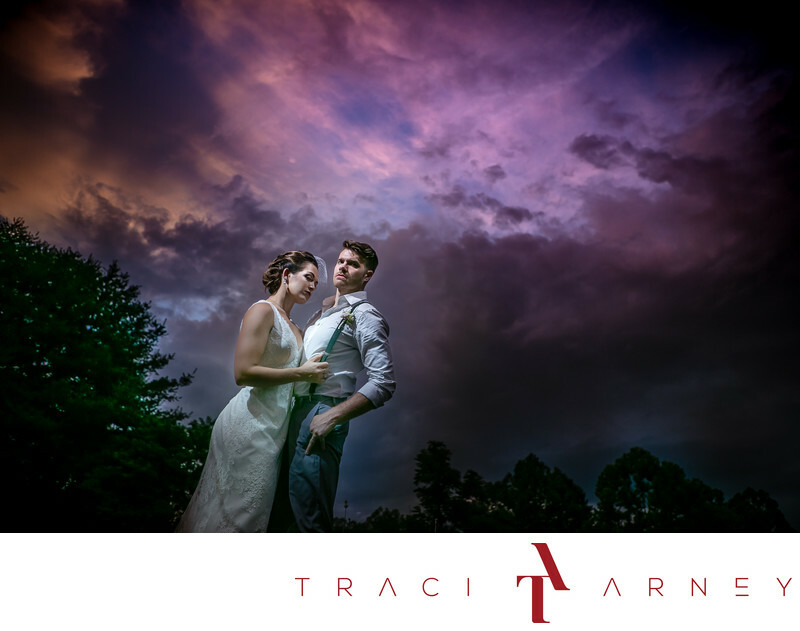 For their epic Romance session, we crawled through a fence into a horse pasture filled with massive horses. First we played with the horsed for a while. I (VERY carefully) shot from underneath the horses. I shot Victoria playing with the horses. I shot the couple horsing around... The sunset started becoming more and more of a sky show and finally it looked like an impressionistic painting so I threw a sidelight flash on them and just asked them to interact. This is just one of the stellar images I got of this incredible and gorgeous couple. I adore Victoria and Jared. They are so playful. They are willing to give me anything I ask for amazing photos. They didn't just toe up to the line of bravery. They kept jumping over it which made for so many amazeballs images. They have my heart for so many reasons and I want to be in their lives forever. Location: Hidden River Events, 30 Hidden River Drive, Swannanoa, NC 28778 . Keywords: Asheville (102), Destination Wedding (186), Dramatic Sky (15), Hidden River Events (6), NC (636), Outdoor Ceremony (3), Romance Session (87), Swannanoa (6). 1/200; f/2.8; ISO 100; 24.0 mm.